by Bill Dwight on Saturday, January 28, 2012 at 6:13 PM | LEAVE A COMMENT! The FamZoo Piggy Bank Challenge by 9 Year Old Game Designer, "Mr. Q"
Do you worry about the number of hours your child is frittering away playing online games? I know we do. But what if your child was spending that time designing and writing games instead of just playing them? That sounds a lot better, doesn’t it? It’s a creative challenge, and coding is a terrific skill for kids to learn in today’s software-driven world. Too hard you say? Not necessarily. Try a game-building tool like GameMaker from YoYo Games. Unleash your child on it (there’s a free “Lite” version), and see what happens. You might be very surprised. I know I was. All I did was give my 9 year old son, “Mr. Q.”, a FamZoo piggy image, and he did everything else on his own. Try your hand at his FamZoo Piggy Bank Challenge game below (if you can’t see it or it isn’t working for some reason, visit http://famzoo.com/games/piggyv1). Check out how fast your little piggy’s legs move when you bag a speed boost, and watch out for the bombs! Let us know your high score in the comments — it’s the honor system! Note: if you want to put your kid’s game up on the web like I’ve done in this blog post, you’ll need to buy the HTML5 version. Has your child tried building any games? Tell us about it in the comments. Be sure to provide a link if it’s available online. What is an Online Virtual Family Bank? 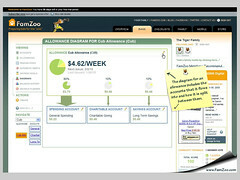 How Do FamZoo IOU Accounts Work? Really? What is that? How does it work? UPDATED 7/1/2013: When this post was originally written, FamZoo only supported IOU accounts which are described below. Since then, we have added support for prepaid card accounts so that real money can back each account and your child’s purchases can be automatically tracked. 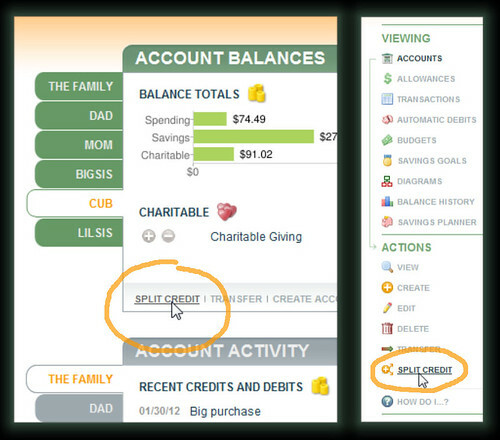 Now you can run your family banking system on either IOU accounts or prepaid card accounts — or a combination of the two. Click here to learn more. Here’s how virtual family banking with IOU accounts works: Let’s say that your child, right now, has $30 in change in her piggy bank on her dresser and another $20 in birthday money in an envelope in her desk drawer. 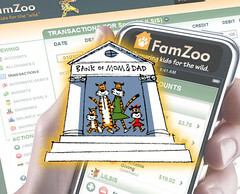 She hands you the actual money, and you, in turn, credit her FamZoo IOU account for $50. Congratulations! 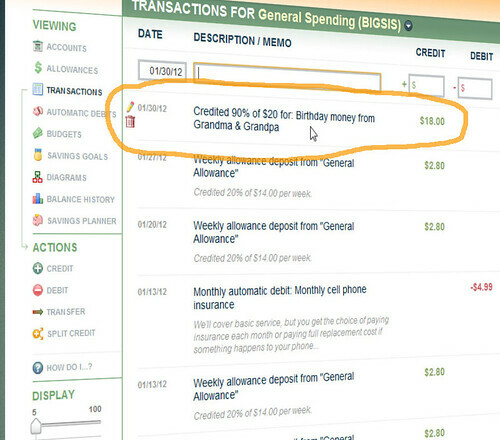 You’ve just become the “Bank of Mom/Dad,” and you’re now running your own virtual family bank. It’s still her money, but she’s just deposited it with you. She can see how much see has in your safekeeping at anytime by signing into FamZoo and looking at her IOU account balance. If you choose to give her an allowance (your call! 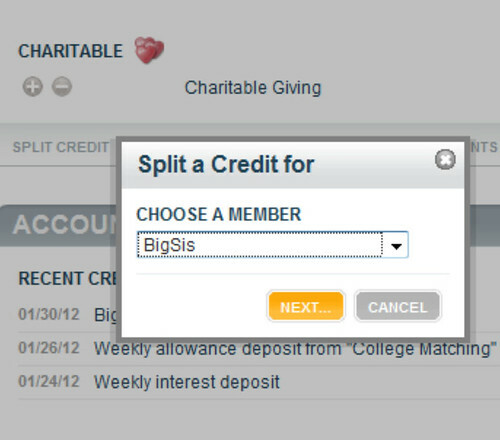 ), you can set that up to be automatic in FamZoo. 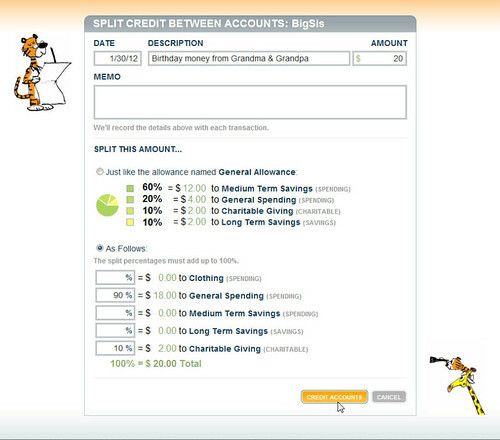 You may even choose to have the amount split between multiple accounts — like spending, saving, and giving. You don’t have to remember to hand her cash every week; FamZoo will automatically deposit the amount you specify into her FamZoo accounts. Alternatively, you may choose to pay for regular chores, or just occasional “jobs” like babysitting, or maybe some mixture of those things. It’s your bank, your family, your values. You decide what’s appropriate. You make the rules! The bottom line: balances in her FamZoo IOU accounts represent IOUs from you to her. You’re holding her money for her, just like your bank does for you when you deposit money with them. Make sense? Don’t hesitate to ask questions! Leave a comment. 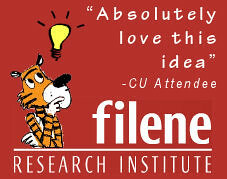 We always love hearing from you. 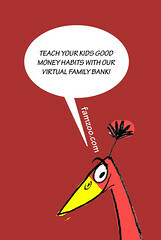 When you’re ready, try setting up your own online virtual family bank on FamZoo. It’s a simple, safe, effective way to teach your child good personal finance habits through hands-on practice. You can try it FREE for two whole months — plenty of time to see if it works with your family. We don’t require any payment info up front for IOU accounts. Interested? Sign up here. Parents — and even parenting experts — argue endlessly about the most appropriate source of income for kids. I really think they're missing the point, or at least half the equation. When it comes to a finite resource like money, it isn't just how you get it, it's also how you use it. 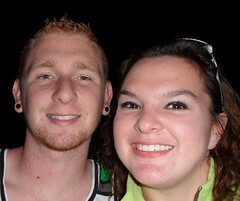 Read this personal story from guest blogger Daniel Forsyth of DaddyDirection.com, and you’ll see what I mean. Daniel brings the unique perspective of a (very) young new father who, in light of his own money struggles and lack of financial guidance growing up, is thinking about ways to avoid the same pattern with his son by being a proactive money mentor. Guest blogger Daniel Forsyth is the leader and dad behind the dad-parenting blog www.daddydirection.com. Check out his blog for more money saving and dad specific techniques. Everyone wants the best for their children. We want them to have a great, happy life growing up and continue with that experience later on in life. We want them to make the best decisions possible so they can have the life they want. It all comes down to what we as parents teach them. A huge aspect our kids will be faced with in life is financial decisions. My parents never talked to me about money, and therefore I ended up making some pretty bad, debt-piling decisions. Yes, at times I had an allowance and a job growing up. But is giving a kid a few bucks a week going to really teach them how to be smart with their money? Being a young and brand new father, I have a huge goal in life to make sure my children know everything they can about money and how to use it properly. Some people might not see this as important or effective when it comes to kids, but let me give you some history. First, since I was never taught about saving money, I blew every single dollar I ever had. I would accumulate hundreds of dollars from birthdays and holidays and by the next week it was gone. In high school I was able to get a construction job. I was making $500 a week for 3 months every summer. That is about $6000 a summer and I did that for 3 summers. I still have not a penny to show for it. Then college came. I wanted to get away and as far as possible from home as I could. I got a scholarship to play soccer for a private school in Kansas. Even with the scholarship, I ended up paying a good $25,000+ a year for school. I will now be paying off student loans until I retire. Fortunately, I was never able to get a credit card, which I am sure would have been just as devastating. I would have spent that until I had debt collectors at my door every day. I had a part-time job in college. That did me no good as it went to needless food spending and social weekend activities. I should have just invested in Budweiser with how much money I gave them. The problem was I saw my parents doing the same thing. My mom and stepfather never had any savings and lived paycheck to paycheck. They spent all their money on pointless things they couldn’t afford. They are now in their late 40’s and have not a thing to show for it. They now rely on my grandmother for money. My dad and stepmother were different. They both had very well-paying jobs, making well into 6 figures each year. Still, they never talked to me about money. They were never crazy spenders, but they had the money, so why would there be a need to live on a budget? I had four sisters growing up (one stepsister the same age and 3 younger). We were all well fed and taken care of, but I now see them making the same exact mistakes I did. So how do we avoid this? How do we, as parents, get our kids to avoid such pitfalls and debt? We can start by starting small. Try to apply how you save and spend your money to them. Give them an allowance, but teach them how to save it. Make them think logically and thoroughly before they buy something. I have heard many people don’t like giving an allowance and kids should just work for the roof over their head and the food on the table. On the other side, I have heard parents think it is great to give kids money for doing work around the house. I grew up in a divorced household, which means my mom gave me an allowance for chores while my dad thought I needed to earn my right to live. I saw both sides of the allowance situation. Since I was not taught to save or spend wisely, I spent my money on candy and unnecessary toys. If I was taught to use money, an allowance would have been much more beneficial. Another thing I was never taught: setting savings goals. I racked up quite a few hundred dollars each holiday and birthday. None of it went to savings, and it all went to junk I did not need. Then my job hit and I became an even larger spender. Another way is to buy some things you know they want ahead of time. Buy a box of those Legos or dolls they want and separate them into equal bags. Make sure your child knows each bag costs X dollars, let’s say $5 for example. At the end of the week, have them check their money to see if they earned enough that week to buy a bag. If they are close, maybe negotiate with them and see if they want an extra job or two to do. Interest can generally be seen as a negative concept. We buy something on credit and end up paying hundreds more than the original price. But, what about your savings or retirement accounts? They accumulate interest over time. The more you save and put in, the more you make on interest. Give your kids the same incentive to save their money. Work out a ratio, such as a quarter for every $5 they have saved each week. Teach them that the more they save, then the more quarters you will have to give them. Do they want to waste $5 on that toy now or wait and have $5.25 at the end of the week? 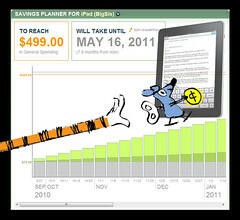 This idea will help them save more because they will realize there is more money waiting for them if they save. If you teach your kids to grow up making smart financial decisions, it will carry on for the rest of their lives. They will always remember to think twice about buying something and think about the implications of buying now or saving for later. As we say on the FamZoo Philosophy page: “we believe a parent is a child’s best mentor.” Kudos to Daniel for taking that role seriously at such an early age. We wish Daniel the best of luck with his young family. Follow his progress at DaddyDirection.com. Do you have some of your own favorite tips on being an effective money mentor? Share them with us below.